CD 3 mm and larger. Listed below are some of the common grades of material we stock for our customers. Let Centerless Grinding Service be YOUR source for value added Bar Stock! Centerless Grinding Service carries ground and polished bar stock ready to sell off the shelf. 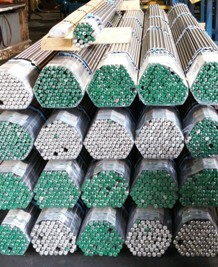 We offer CD, TGP, DGP, & PSQ in various sizes of stainless, carbon & alloy steels. We also have material ready to process for our customers specific applications. Listed below are some of the common grades of material we supply our customers. Know that Centerless Grinding can custom produce the products you need if it is a non-stock item. Let Centerless Grinding Service be your supplier for Quality Bar Stock products.